The Law Society's conveyancing CPD seminars have proven to be a big success with increased numbers of solicitors taking part. 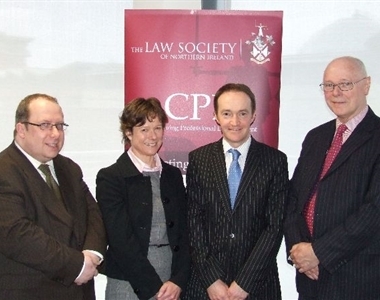 The four seminars were held in Belfast, Newry, Ballygawley and Limavady throughout March and were well attended by solicitors from across Northern Ireland. The seminars were devised by the Society's Home Charter, Non Contentious Business, Professional Indemnity Insurance and Risk Management Committees. 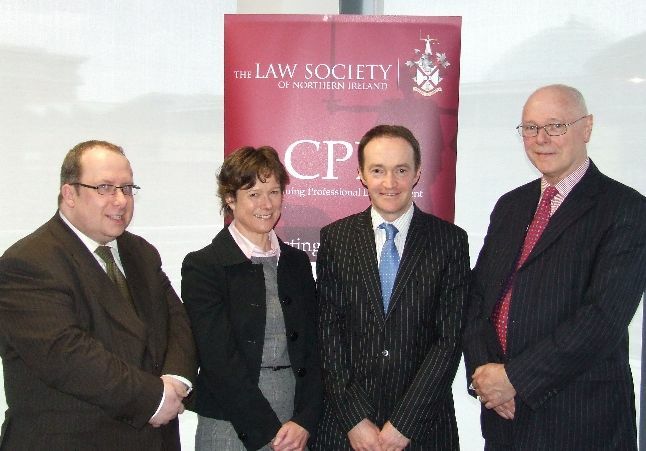 The aim was to address the recent and anticipated developments in conveyancing law and practice. Amendments to the Home Charter Scheme to comply with Solicitors Communication Regulations. The revised Home Charter Practice Direction. The new Vendor’s Replies to Pre-Contract Enquiries and Purchaser’s Post Contract Requisitions. Complying with the Council of Mortgage Lenders Guidelines and ensuring that you remain on the Lenders’ panels. Mortgage Fraud and how to detect and avoid the same. Dealing with mapping problems, Energy Performance Certificates and the practical implications of some recent decisions made by the Courts. All four seminars were delivered by an expert panel including Council members, John Pinkerton and Simon Murray as well as Sarah Witchell from the NI Law Commission and Charles O’Neill from the Northern Ireland Co-Ownership Housing Association Limited.